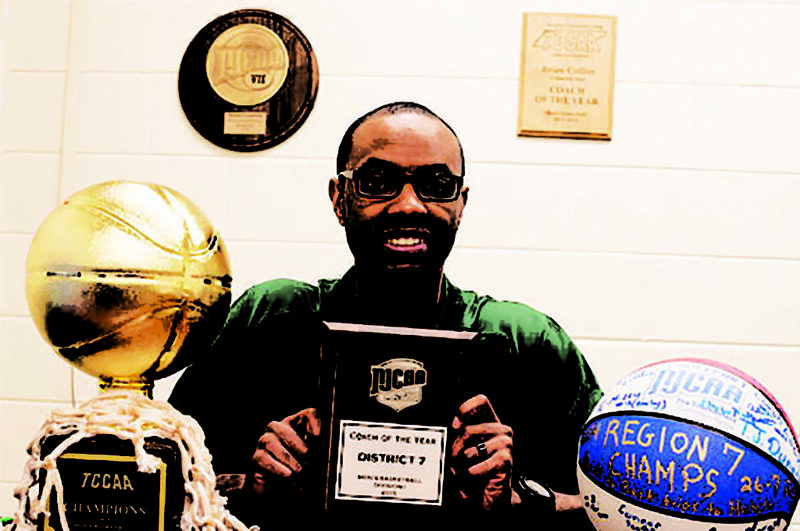 Brian Collins in 2015 after winning Coach of the Year at Columbia State. 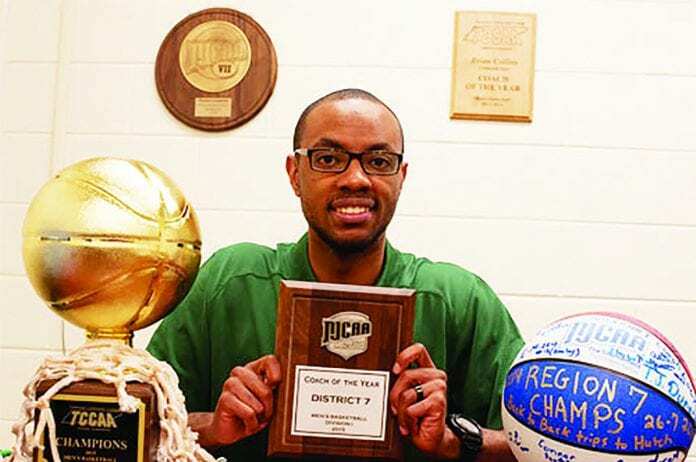 Former Whites Creek High School star Brian “Penny” Collins has joined the men’s basketball staff at Illinois State University the school announced on Monday. Collins joins former Vanderbilt assistant coach Dan Muller’s staff as an assistant coach. 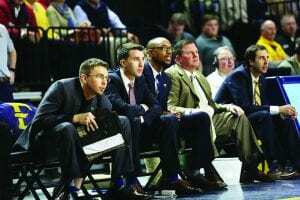 Collins leaves East Tennessee State after two years. As an assistant coach at East Tennessee State during the 2016-17 season, Collins helped the Bucs win the Southern Conference Tournament and earn an automatic bid to the NCAA Tournament. ETSU posted a 27-8 overall record and won a share of the SoCon regular-season title with a 14-4 league mark. Collins also led Belmont to the NCAA Tournament as a player in 2006. Brian Collins, third from left, has moved from East Tennessee State to Illinois State. Photo courtesy of ETSU Sports. The job will be Collins’ first outside of Tennessee. After graduating from Belmont in 2006, Collins played in Finland at for the Bakersfield Jam of the NBA Developmental League where he played under legendary coach Jim Harrick. Collins then was hired from 2007-2009 at Tennessee State University. NAIA power Cumberland University hired him from 2009-2012 as an assistant. Collins received his first head coaching job at Columbia State Junior College from 2012-2015. At C-State, he was known for recruiting top players. One of his players, TJ Dunans was named the preseason junior college player of the year in 2015. Collins led two of his teams to the junior college championships.